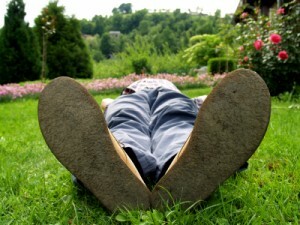 An important part of achieving an ambitious goal is taking time out to rest. As God rested on the seventh day of creating the world, I am going to rest on the seventh of 99 tips for a better world. I’m going somewhere quiet to sleep in, read books and go for long wandering walks in the middle of the day. So this week, instead of 600 words from me, a few words from Wendell Berry on rest. This entry was posted in Culture, Featured and tagged 99 tips for a better world, poetry, take a break, wendell berry, wild things. Bookmark the permalink.